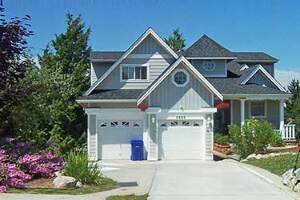 Above the Inlet B&B is in Sechelt on the Beautiful Sunshine Coast of BC. This is a favorite for travelers seeking a beautiful, romantic destination. Features privacy and relaxation, complimentary hot beverages, and comfortably appointed vacation rental suites. You can enjoy an early morning cup of coffee on your private deck as the eagles soar above your head. All suites have private keyed entry.